Does this mean there are really only 10 weeks left of this year after this week? I don't know where the time has gone! We had a pretty good weekend. This one definitely wasn't long enough. My car has been in the shop since late afternoon Thursday, but we are picking it up today. We could have picked it up Saturday but I had a conference all day Saturday and was gone from 7:00 until after 5:00. We did go and check out World Market after work Friday. We are looking for a loveseat or settee for the sitting room and have not had any luck. This one is on Target.com and it is pretty much exactly what we are looking for, and the reviews on it are good, the price is right at $399. I am just hesitant to pull the trigger because we have been buying and looking for quality pieces and I am worried that this one won't be. I also want to sit on it before I buy it. I wish we could find something like this somewhere around here! After we got home, our neighbors came over for a little happy hour. Of course they brought our favorite local pizza with them, Joey Nova's. It is SO good, tastes just like New York pizza, just delicious! I restrained myself to just one small slice, but it was just tasty! Saturday we went out to dinner with friends and saw Gravity in 3D. I was just so-so on it. I didn't really enjoy the storyline all that much. I am sure others will love it, it just wasn't for me. Like I said to a friend in an email earlier today, I always have the best intentions to make all of the meals that I plan, but I need to get more realistic about the fact that unless we are having a dinner party, or friends for dinner on the weekends, I just don't cook Friday or Saturday nights. If we are home Friday nights, I am so beat by the end of the week that we just wind up ordering something, throwing a frozen pizza in or having leftovers and Saturday, if we aren't home or we don't have plans with friends, we go out. I just need to be more realistic and plan for it. Yesterday was Canadian Thanksgiving dinner at our friends M & C. She did two turkeys this year, one in the smoker and one in the oven. I LOVED the one in the smoker. It was SO good. I am definitely going to do two smaller turkeys this year. One in the oven, and then one in a deep fryer or one on the grill, not sure yet, but I love the idea of two turkeys! She also made a butternut squash, that was absolutely delicious, I think she is going to bring it to Thanksgiving at our house this year, SO good. Her mashed potatoes were really good as well. It definitely gets me thinking about Thanksgiving and our menu! We don't have a really busy week this week. And two of the recipes from last week, I am going to try to squeeze into this week. I am going to be more realistic about planning meals though. Last week on Tuesday, my sister, and friends L & S came for dinner before Bunco. I made salmon and steamed broccoli but S and my sister do not eat fish, so they had leftover turkey chili from the night before. Worked out really well and I was so glad I had something like that on hand. Here is what is planned for this week so far! Plans - dinner out and a movie screening of Last Vegas at the West End. We were both exhausted last night, so we picked my car up from the repair place. Hate car repairs, especially expensive ones. Really need a new car. Then we went grocery shopping and headed home for an early night. Breakfast and Lunch - Peanuts, yogurt, taco salad (this was SO good, love having leftover turkey taco meat for a salad. I need to remember to triple this when I make it so I have leftovers for soups and salads, it is so easy to mix up and the boy and I both love it) and grapes. Dinner - Keegans, an Irish Pub in NE Mpls, one of our favorite spots. We always have such a hard time deciding what to order, but the boy almost ALWAYS winds up with the corned beef and cabbage. I love their fish and chips, but it is cold and rainy out, so I think it will be the grilled cheese with soup tonight. One thing we did stick to, I did make tomato soup and a grilled cheese. I must have really been craving it. My idea of comfort food I guess! Plans - the boy has a dentist appointment after work, so I am going to head home, put some soup on the stove, and if it isn't raining, head out for a walk. NOTHING is getting done this week. I went home to a squirrel in the fireplace. The neighbors came and took care of things, but it took a LONG time. I was freaking out, so I went to one of their houses and had some wine during the commotion. The boy came home and we had pizza with the neighbors. What chaos! Dinner - Turkey Mushroom Meatloaf, from the Paleo cookbook with delicata squash sprinkled with gorganzola and candied pecans. They were passing this out at the Trader Joe's near us this past weekend, SO good, I absolutely love squash. I love the foods during this time of year! Ordered Pizza. Plans - We don't have any plans for tonight, but we have a ton that we need to catch up on after not being home really at all this past weekend. Laundry, grocery shopping, cleaning the house. This didn't happen either, again, nothing getting done at home seems to be the theme this week. But some weeks are like that and you just roll with it. Sister J came over, had not seen her in well over a week so it was good to get caught up with her. Dinner - Cabbage soup from the 17 day diet cookbook (I might try to make this Tuesday night so that we can just warm it up when we get home from work) I made a turkey wild rice soup using this recipe with leftover turkey from Canadian Thanksgiving. Since I was chatting, drinking wine and not giving it 100% of my attention, it took forever to get done, so we had leftover turkey chili instead. Good thing we can just roll with the punches around here. Plans - We don't have any plans at this time, which I think is probably a good thing since we have so much to do and catch up on at home. We have not even made it out for a walk this week or to the gym. It has been a cold wet, rainy week here and next week it will really start to get cold! UGH! Dinner - Garlic Chicken with Mushrooms and Red Peppers from the Paleo cookbook, that I didn't get to make last week. Wow, totally fail this week. We had leftovers and just vegged and caught up on shows on the DVR. The turkey and wild rice soup from the night before was very good though! It would have been better with a big piece of crusty bread but oh well! Plans - No plans at this time, but that could change. But I am NOT going to plan anything for dinner. 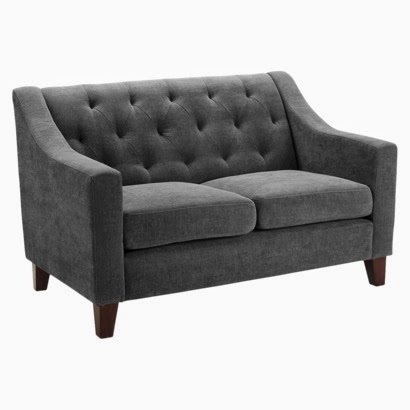 We are going to look at a couple of stores for a loveseat settee for the sitting room. I have an idea that may work temporarily but we are still looking for "the" piece. Then we are joining the "E's" for dinner at Parma. Total cheat weekend! Dinner - Not sure Parma 8200. We love this place, we have never even had a so-so meal here. This weekend they are doing their Sunday "date night" all weekend, starting tonight. So you have your choice of two starters, two entrees, two desserts and a bottle of wine for $50. Good, food, good wine, good company, great way to kick off the weekend! Maybe we will even find what we are looking for! Plans - I need to get a mani/pedi as well as pick up one more thing for our friend J's birthday celebration later on Saturday evening. Dinner - We are going to back to Nonna Rossa's to celebrate J's birthday this year, looking forward to a fun night out with friends! I should not have looked at this menu before lunch. Oh my it is making me HUNGRY! Plans - Hoping to get another long walk in. We did yesterday. It was SO nice out, and we had a really good walk in our neighborhood. Perfect fall day! We have to get the garage cleaned out, so that is how we will be spending the majority of the day. I am NOT looking forward to it, but it has to be done before it gets really cold out. They said this morning that we could get flurries Friday and our first freeze may be this weekend! Breakfast and Lunch - leftovers, whatever we can find. Dinner - This might have to be a game time decision. On Sundays I like to make a decent meal for us, and I was looking at recipes for soups and stews from either my Paleo cookbook or the 17 day diet cook book. But the only ones that are really appealing to me are squash and pumpkin based, and I just can't get the boy on board with that, so I think I am going to have to keep looking. After I get this posted, I will probably go and check out other blogs with meal plans for the week, there will probably be something there that will pique my interest. For more recipes and links to meal plans, check out the orgjunkie! I love that loveseat, but I hear ya on getting quality pieces. Hope you find something!